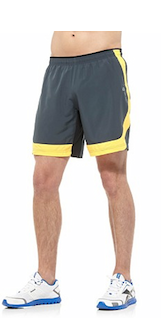 ThemeParkMama: Today Only: 25% Off All Reebok Outlet Shorts! Looking around, there are lots of bare legs making their way into the breeze these days as summer brings warmer temperatures. Time to hit the latest Reebok Outlet Sale! Save 25%—that's on top of already discounted prices—on shorts for men, women and kids! Running, CrossFit, working out at the gym or just playing on the playground, there is something for everyone at this sale. Just use promo code: SHORTS14 at checkout, but be sure to hurry since this sale only runs Friday, June 6th.